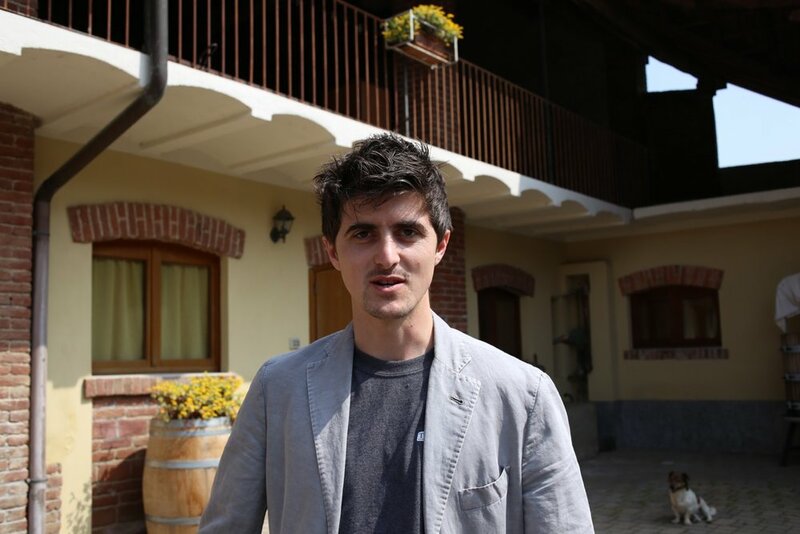 This small estate in northern Piedmont is a partnership between Dieter Heuskel and Peter Dipoli, the owners of the estate, Cristiano Garella, an outstanding young local winemaker, and Andrea Zanetta, one of the best viticulturalists in the area. Northern Piedmont used to be famous for its Nebbiolo-based wines, but in the last century many of the vineyards fell into disuse. 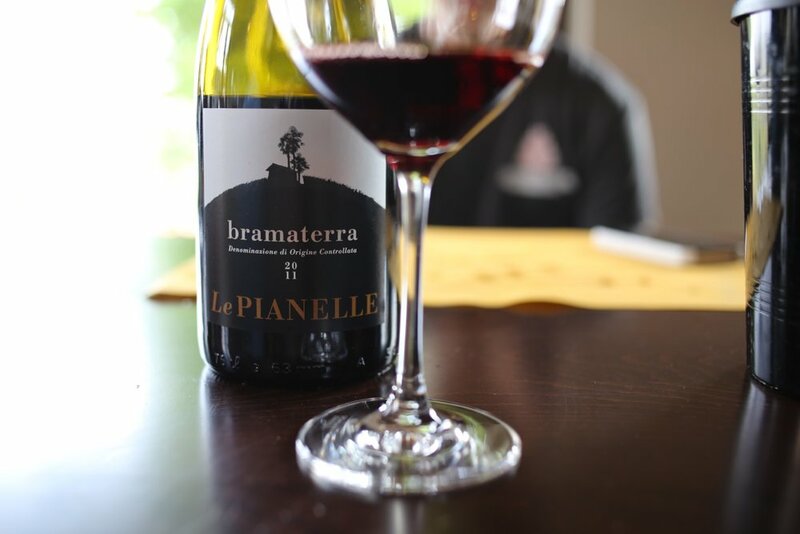 Heuskel and Dipoli started buying land in the Bramaterra appellation in 2004; after assembling more than fifty small parcels from more than forty owners they were finally able to realize their dream and plant vines, mostly Nebbiolo, in 2007-8. The hill where their vineyards are planted was famous a century ago for the quality of the wine grown there, and it will be famous again soon. The soils here, marine and volcanic sands ranging in color from yellow-orange to brown, are entirely different from those of the Barolo and Barbaresco areas; they are also acidic, whereas those of the Langa (and most wine regions) are basic. 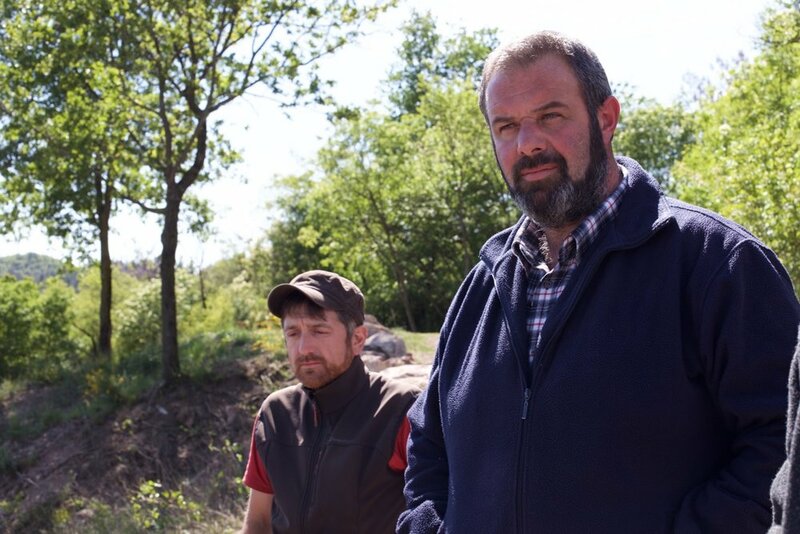 Cristiano tells me that acidic soils change the uptake of minerals into the plants, and although the common thread of the Nebbiolo variety is clear, the wines are very different from Barolo and Barbaresco (less tannic, lower in alcohol, higher in acidity). They are also generally more drinkable when young, too, not a bad thing. 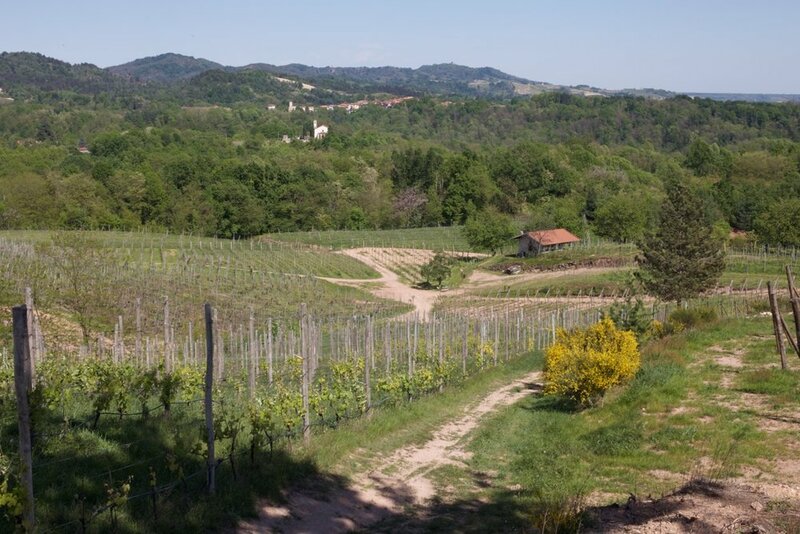 If you love Nebbiolo you should explore northern Piedmont. The Nebbiolo-based rosés from northern Piedmont don’t have a long history, but they are now clearly one of the best rosé types in Italy, and this is one of the very best examples. The wine: beautiful deep salmon pink in color, with aromas and flavors of true cinnamon, angelica, watermelon and wild strawberries, and a long fresh finish. Excellent food wine, try it with salmon but also shrimp, roast chicken, and all sorts of pasta dishes. This is serious rosé, and starts to shine in the late summer or fall following the harvest; it will drink well for at least several years. Given the prices of the best Provencal rosés I think this is a bargain. Vineyards: planted at between 270-380 meters above sea level (900-1,250 feet), in a combination of yellow-orange marine sand and brownish porphyric sand (of volcanic origin). Vines were planted in the 1990s. Winemaking: 90% of the wine is Nebbiolo that has been macerated for 24 hours with dry ice, and then pressed off; the rest of the wine is a ‘saignée’ of Croatina and Vespolina from the red wine production. 95% of this mass is fermented at low temperature in stainless steel, the remainder is fermented in used barriques. The wine is bottled in March after the harvest. The wine: Cristiano Garella is a leading winemaker in this area with a number of vintages under his belt. His style is clean but transparent, his goal being to maximize the native character and flavors from this very distinctive Nebbiolo terroir. This Bramaterra shows some of the wiry structure typical of the appellation, but also a broad range of generous flavors (tobacco-leaf, sandalwood, red fruits); it is ripe but also very fresh in acidity, a hallmark of this region, ageworthy but drinkable when young too. If you love Nebbiolo you should try it. Lovers of Barolo/Barbaresco will have noticed that Bramaterra is typically blended with Vespolina and Croatina, whereas B/B are always 100% Nebbiolo. Croatina gives deeply colored, fairly tannic wines with tea-leaf and red berry notes; Vespolina is medium to dark red in color, and shows very distinctive bright berry and herbal notes. Ian d’Agata describes Vespolina as ‘one of Italy’s best grape varieties,’ high praise from this expert. Vespolina has great promise as a varietal wine in its own right. Cristiano says that he does blending trials of these wines with and without the Vespolina and Croatina, and always prefers the traditional blend. This Bramaterra is a bottling of only the best barrels from their vineyard. Vineyards: planted at between 270-380 meters above sea level (900-1,250 feet), in a combination of yellow-orange marine sand and brownish porphyric sand of volcanic origin. Vines were planted in 2007-8. No use of chemical fertilizer or herbicide. 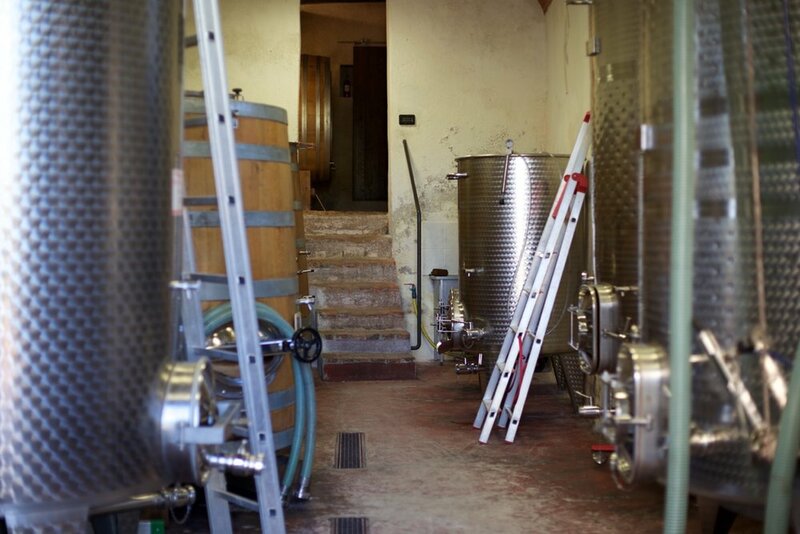 Winemaking: the grapes were destemmed, pressed, fermented in conical wooden fermenters, with a total maceration of 20 days (Croatina), 26 days (Vespolina) and 34 days (Nebbiolo). 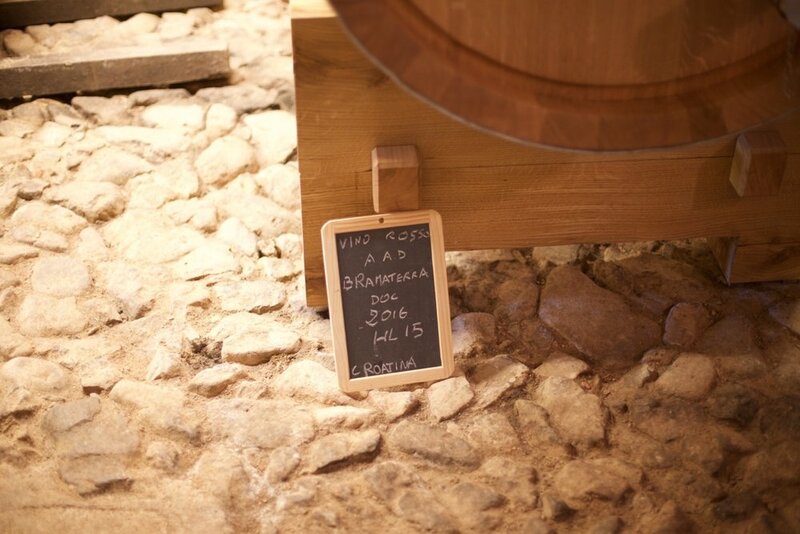 The Nebbiolo is then aged for 20 months in large barrels before bottling, while the Vespolina and Croatina are aged for the same period of time in used barriques. Normally only two rackings are necessary, to preserve the aromatic integrity of the wine.